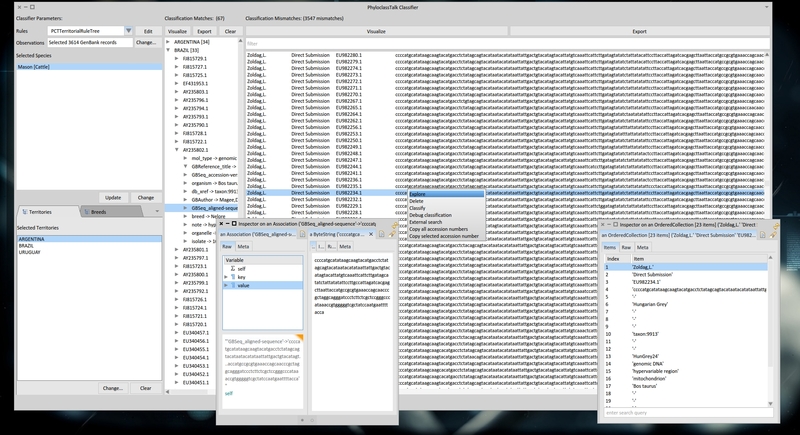 PhyloclassTalk is an open source bioinformatics platform that aims to help in phylogeography workflows. PhyloclassTalk can provide information about wealth and geographical distribution of studied species. 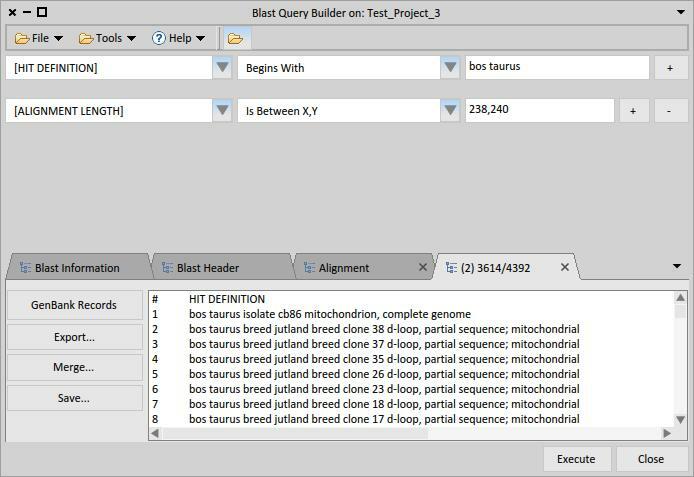 A friendly user interface to compose, explore, filter and save queries against Blast results. 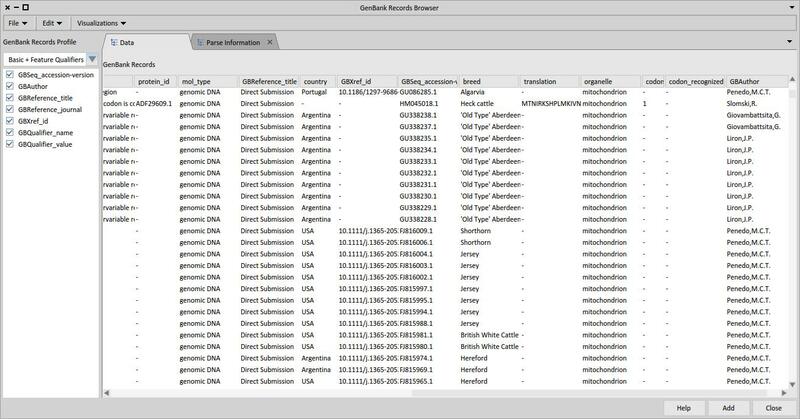 It also contains a GenBank Browser which automatically links accession numbers from filtered Blast results to its corresponding records in GenBank, allowing to explore additional sequence data. Geopolitical framework to build territories from scratch or templates based in globally recognized organizations (UN, FAO, ISO, etc). 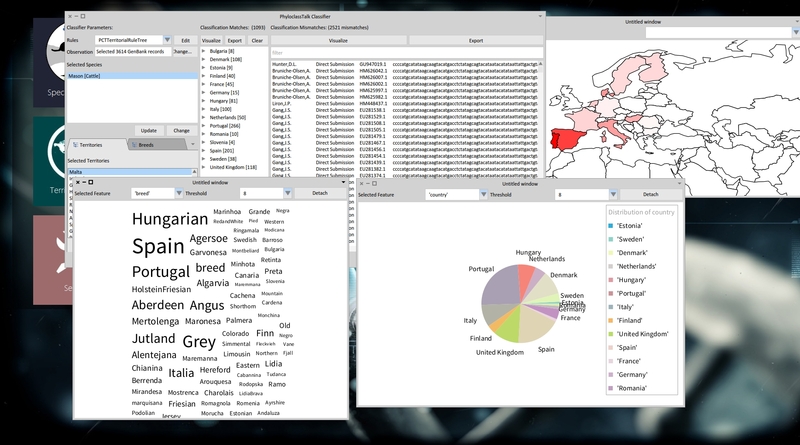 Includes an UI wizard for easy composition of regions of interest. 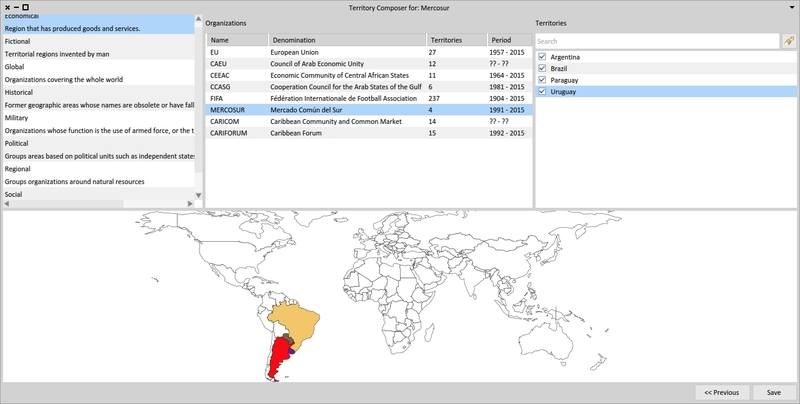 Built territories includes all associated data from its parts: demonyms, synonyms, translations, etc. Phyloclasstalk provides manually curated repositories of animal species (Bovine, Buffalo, Horse, Sheep and Dog) discriminated by source. 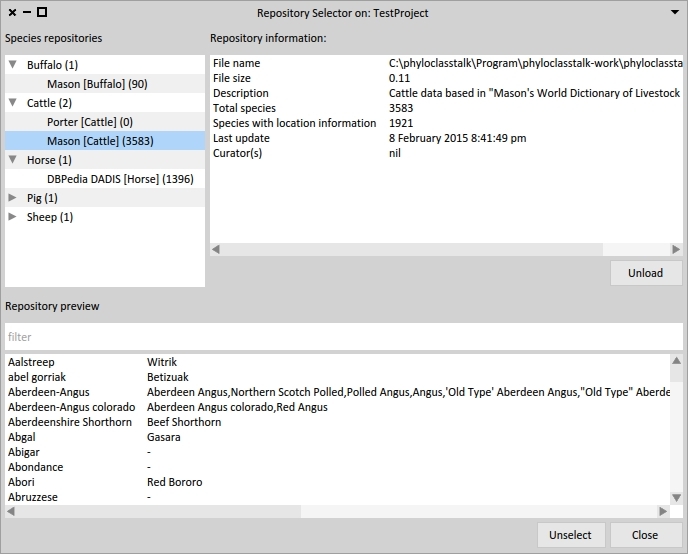 Repositories are browseable through a specialized user-interface, and can be used to select your working species repositories data.